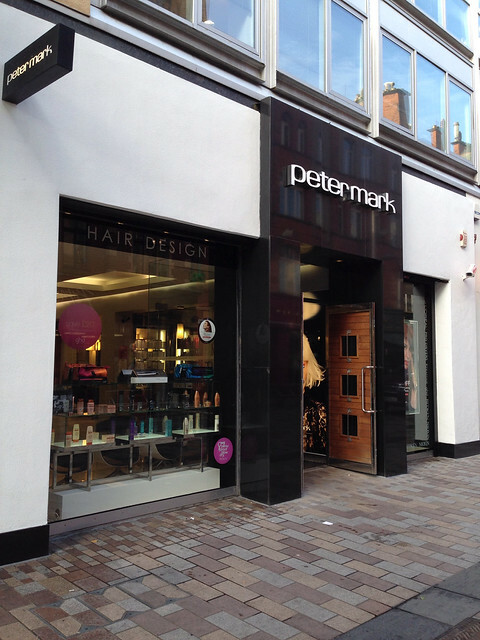 Yesterday, I headed into Belfast to have my greys zapped by the guys at Peter Mark. They have a promotion on at the moment with 20% off all colour with cutting/styling until the 15th November and they're open on a Monday...that's a win/win for me. If I need to go into Belfast for whatever reason, Monday is my day as it's quiet in town, easy to get parked and it starts my week off in an organised way. I can get all my returns done, visit the bank and do a bit of shop research...more on that below! She did an amazing job and the best bit? It took just over an hour. 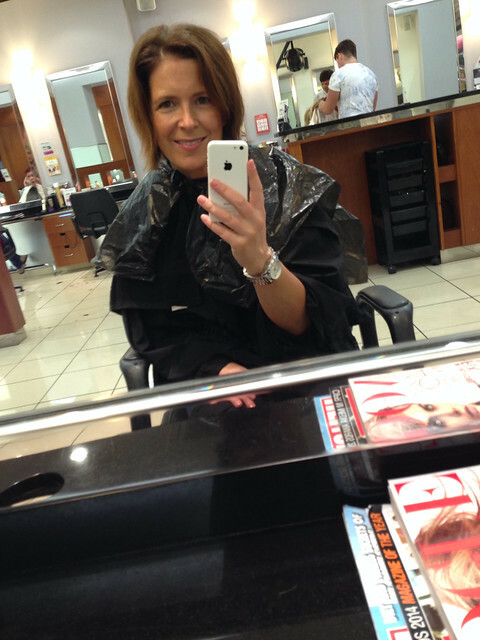 I don't have time to sit in a salon for 3 or 4 hours to have my colour done so it was great to be in and out so quickly. With a latte in one hand and September's Vogue in the other, Coldplay playing on the sound system, it was so chilled and lovely. I didn't get it cut this time - just a tiny trim at the front but it was enough to make it all sit lovely again and I was bouncing out the door ready for a bit of solo shopping. 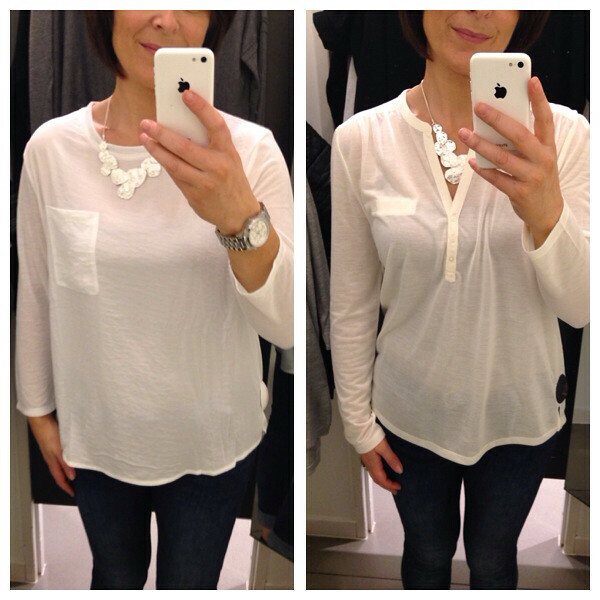 Navy/Cream Blouse (too shapeless) & Quilted Shoulder Knit (pleather a bit cheap looking) - can't find links online for either. and finishing with two cream ones that I can't find online...the first one was nice but was full of static. The second one was too see-through. 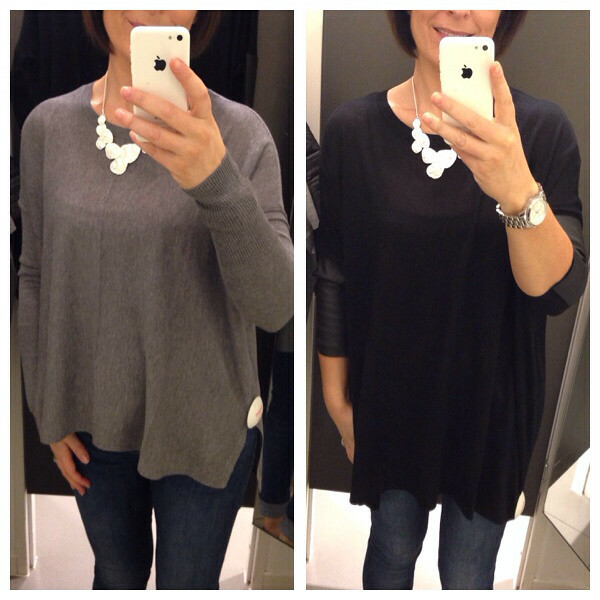 These two are very lightweight knits....I just liked the pleather detail on the sleeve of the black one and the grey has some lovely detail too on the front and back. More than you'd expect for £14.99. Finishing with what I wore..no full length shots today so it's a combo of the picture above and this.. I love your hair Avril. One might go as far as saying I'm jealous! It's always so gorgeous and luscious looking. 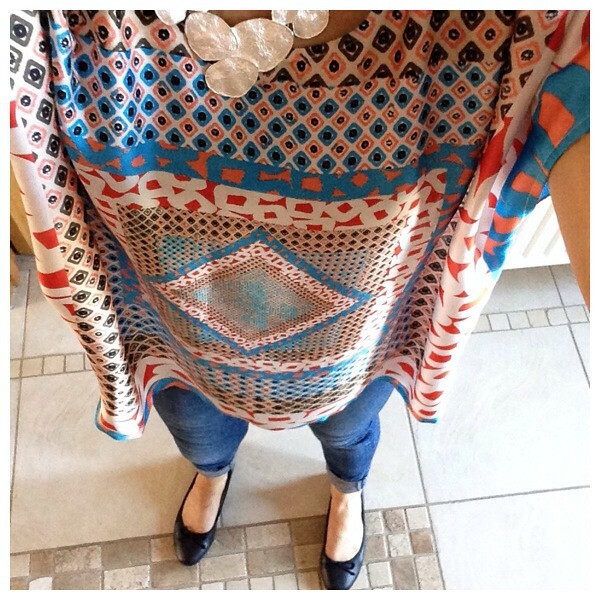 I also love your Mary Portas tunic - what fabulous colours. 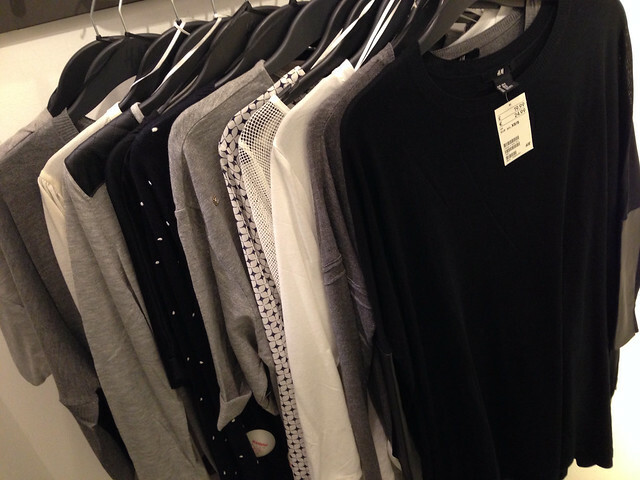 I've had some great knitwear from H&M in the past - not 100% wool of course but it has never bobbled. 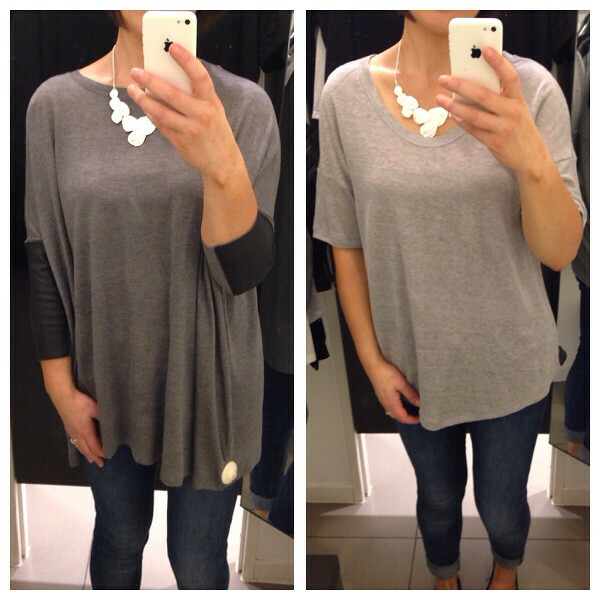 You cant beat a great grey top in my opinion! 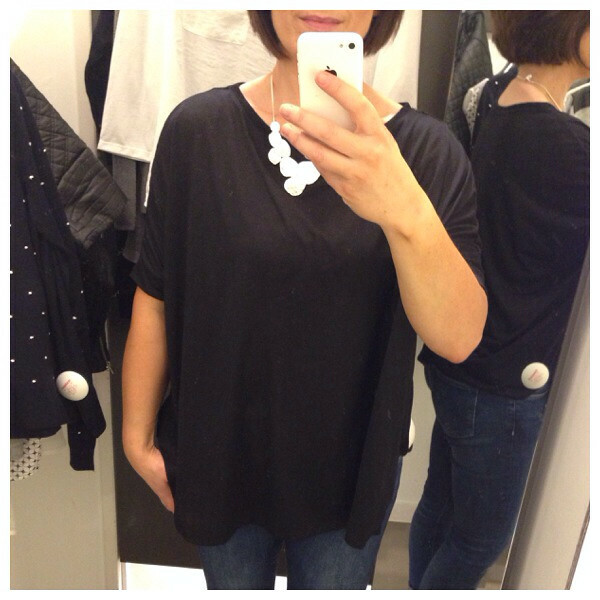 Love you swish new bobby shorter hair and i am crazy about that necklace with the grey t-shirt (by the way I'm going to practise that selfie you do slightly to the side, as it gives a good view of the neckline, which my mammoth hands always seem to cut out). These days my greys need tending to every four weeks, but I do it because if the hair is not right you just don't feel right - do you? Agree about Monday mornings! 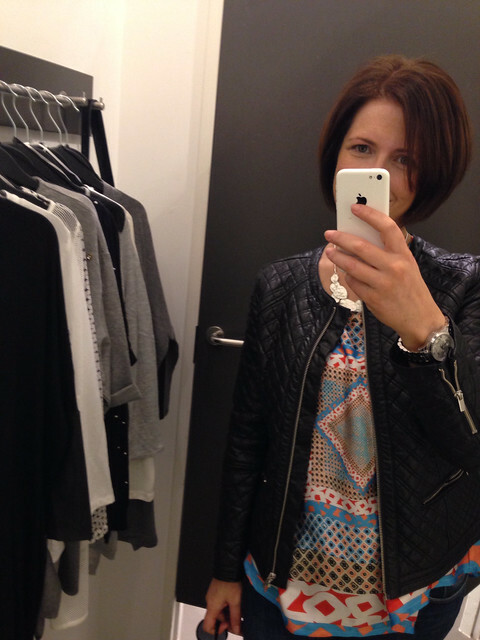 Hair looks great and I love the pleather top you bought. 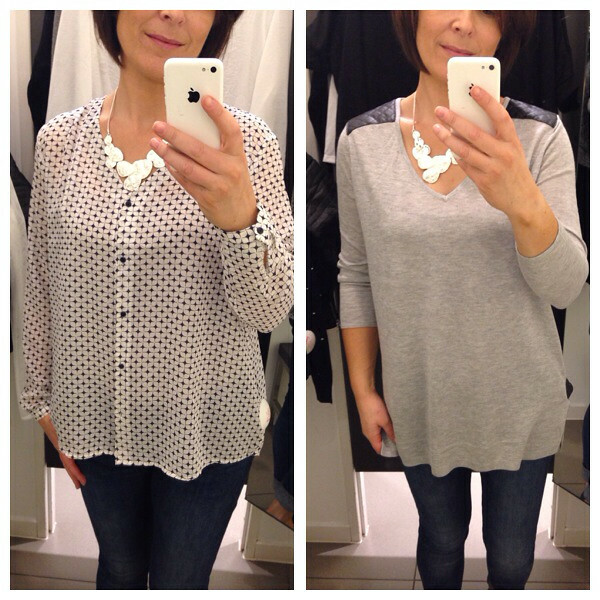 I have had hit and misses with H&M but when you find something you love at their prices it's brilliant. 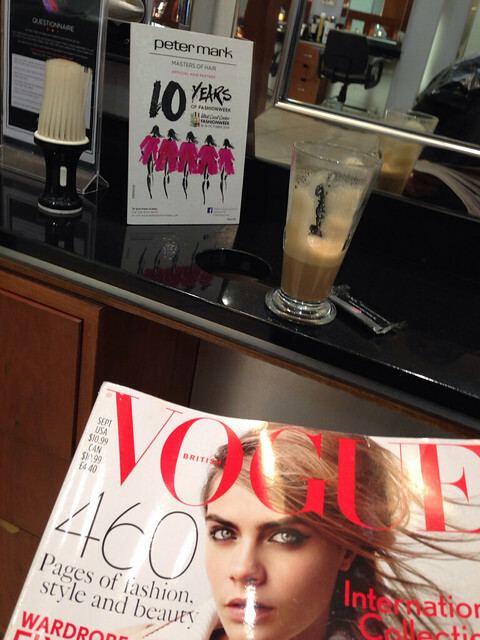 Nothing beats a couple of hours being pampered in a salon, your hair looks great Avril! 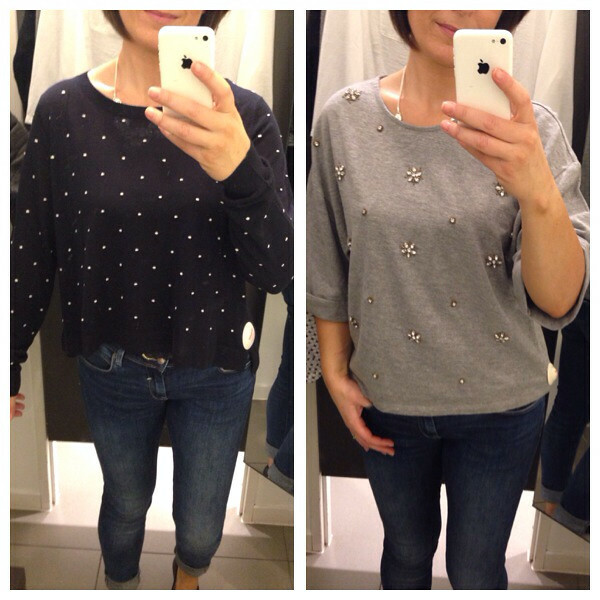 i really like that embellished grey jumper, it would look great also with a pencil skirt. Bringing some Style to the School Lunchbox! Head to Toe for £100 in Boden Clearance!